I've said it before and I'll say it again. I'm not a fan of football and I don't watch the Super Bowl. But I love any opportunity to show how delicious vegan food can be and Super Bowl food is especially fun because it's basically a feeding frenzy. For my take on a Super Bowl party, check out this post that includes the Super Bowl menu from Party Vegan AND the recipe for the Man-Size Chocolate Chip Cookies shown above (photo by Tamasin Noyes). But now it's time to announce the winner of the Tribe Hummus Giveaway!! And the winner (chosen at random via Random.org) is: #8 - SweetKaroline. 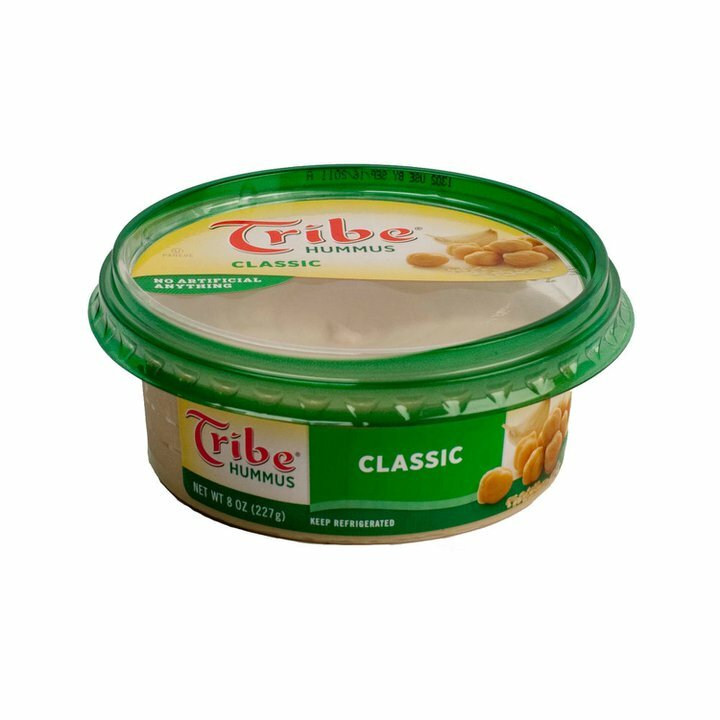 Congrats, SweetKaroline -- e-mail me with your address and I'll send you coupons for two (8 or 16-ounce) containers of Tribe Hummus. Thanks to everyone who entered my giveaway. Watch for more giveaways coming soon. Super (bowl) Dips + Tribe Hummus Giveaway! Or... you could simply open a container (or two) of delicious Tribe Hummus and get the Super Bowl party started! Even better, if you get the hummus for free, right? That’s why I’m having a Tribe Hummus giveaway just in time for the Super Bowl. 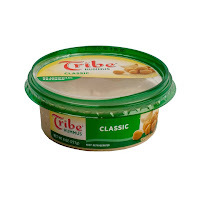 To one lucky winner I will send two (2) coupons for any flavor of Tribe Hummus (either the 8-ounce or 16-ounce size!). The winner will be chosen at random and announced on Monday, January 30. Link to this giveaway on Facebook. Link to this giveaway on Twitter. Subscribe to my blog, friend me on Facebook, or follow me on Twitter. “Like” Vegan Heritage Press” (my hubby’s company) on Facebook. “Like” Gary World” (my cat’s page) on Facebook. …then come back here and post a comment telling me what you did – one comment for each action. Celebrate National Peanut Butter Day! In honor of National Peanut Butter Day, I'm sharing two of my favorite peanut butter recipes. The Mutant Ants on a Log are from the child's birthday party menu in Party Vegan. 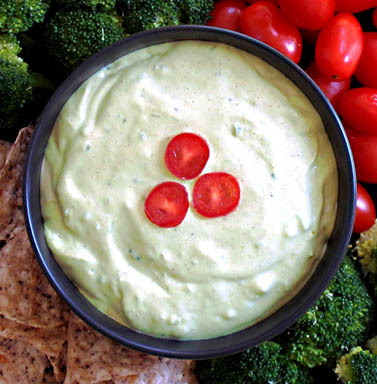 It's a fun and easy snack to make anytime. The Peanut Noodle Salad from Vegan on the Cheap can be made with any pasta shape you like and it can be served hot, cold, or at room temperature. The peanut sauce can also be used as a dipping sauce. Kids of all ages love “ants on a log” and using different colored dried fruit makes the ants look like “mutants” and adds to the fun. 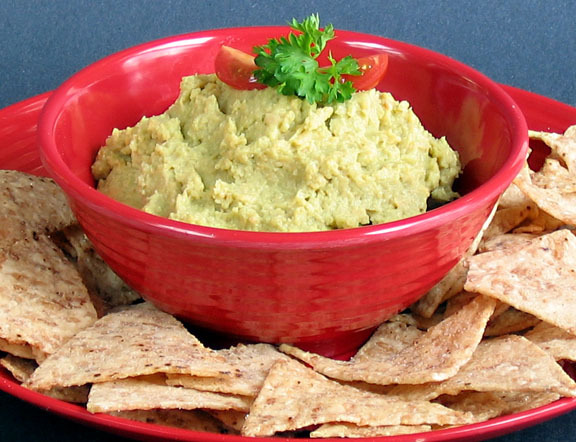 Best of all, this is one snack that’s made with healthful ingredients — so it’s a win-win for everyone.This recipe is from Party Vegan by Robin Robertson © 2010, John Wiley and Sons. 1. Trim the ends from the celery and, using a vegetable peeler or sharp paring knife, remove a thin strip from along the back of each celery rib so they lie flat without wobbling. Set aside. 2. In a bowl, combine the peanut butter and maple syrup, stirring to blend. 3. Stuff the peanut butter mixture into the celery, spreading evenly with a knife so the peanut butter mixture is flush with the top of the celery. Gently press the blueberries and cranberries into the peanut butter. 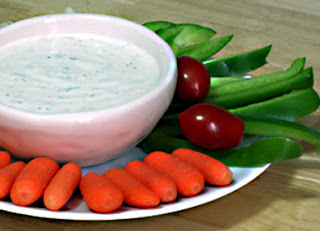 Cut the celery into 2-inch long pieces and arrange on a platter. A creamy peanut sauce combines with crisp vegetables, baked tofu, and chewy noodles in this scrumptious salad that only tastes like a luxury. This recipe is from Vegan on the Cheap by Robin Robertson © 2010, John Wiley and Sons. 1. Preheat the oven to 375 degrees F. Oil a baking sheet and set aside. 2. Cut the tofu into 1/2-inch slabs and press well to remove any excess water. Cut the slabs into 1/2-inch cubes and toss with the soy sauce. Arrange the tofu on the prepared baking sheet and bake for 30 minutes. Remove from oven and set aside to cool. 3. Cook the linguine in a pot of boiling salted water until just tender, about 10 minutes. Drain and rinse under cold water. Transfer to a large bowl and toss with the sesame oil. 4. To the bowl with the noodles, add the green onions, carrot, bell pepper, and steamed broccoli. Pour on enough peanut sauce to coat and toss gently to combine. Serve topped with the reserved tofu. This peanut sauce has great flavor and amazing versatility, whether using it as a dip for veggies or as a sauce for pasta. It's especially good used in the Peanut Noodle Salad (above). Why pay more for bottled peanut sauce when you can make your own on the cheap with this easy recipe? 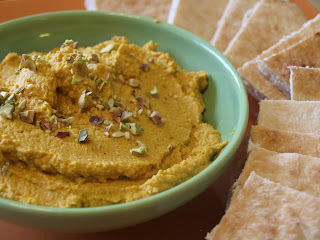 This recipe is from Vegan on the Cheap by Robin Robertson © 2010, John Wiley and Sons. 1. Place the peanut butter in a bowl. Stir in the soy sauce, vinegar, and sugar until incorporated. Add the oil, ginger, and chile paste and stir until smooth and well blended. 2. Taste to adjust seasonings, adding more chile paste if you prefer more heat. Add as much water as needed to reach the consistency you prefer. 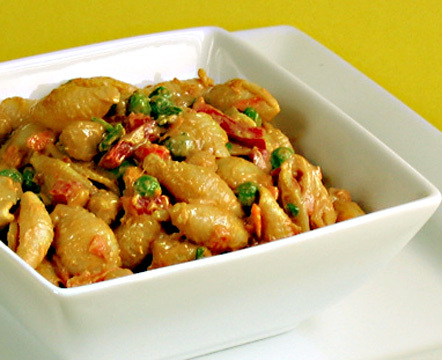 Use immediately or cover tightly and refrigerate until needed. Properly stored, this sauce will keep for several days. If you've been reading my blog for awhile, you know that Jon loves tiramisu...and that I rarely make it unless we're having company because, well, we'll end up eating it all. I've long been a fan of serving a more traditional tiramisu (made in a large pan) by scooping it into pretty glasses (rather than slicing it to serve on a plate). 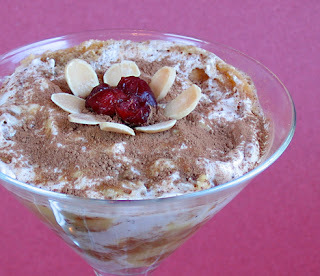 When I developed the Tiramisu Parfait recipe for Quick-Fix Vegan it was to provide as an easy way to enjoy tiramisu without the fuss and time-consuming bother of the traditional. I soon realized this version is especially ideal for small households because you can make it in smaller portions. This recipe is on our "short list" for a Valentine's Day dessert this year. If you're planning a romantic dinner for two on Valentines Day, this may be a sweet ending to your special meal. You can dress up the parfaits for Valentine's Day by topping each with a fresh strawberry, a few raspberries, or even a few dried cranberries or cherries and sliced almonds (as I did in the top photo). A few chocolate curls would be nice too! This dessert tastes best (and firms up a bit) if allowed to chill in the refrigerator for an hour or two, but is also perfectly yummy if eaten right away. 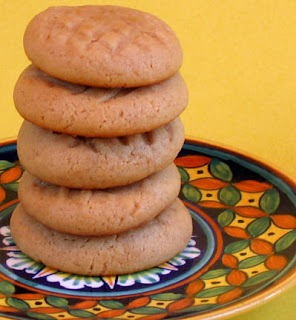 If you don't have vegan shortbread cookies on hand, you can use another type of cookie or cake with complementary flavors. This recipe is adapted from Quick-Fix Vegan by Robin Robertson (c) 2011. 1. Combine the coffee and sugar in a small bowl, stirring to dissolve the sugar. Set aside to cool. 2. In a blender or food processor, combine the cream cheese, cashew butter, vanilla, and the reserved coffee mixture. Blend until smooth and creamy. 3. 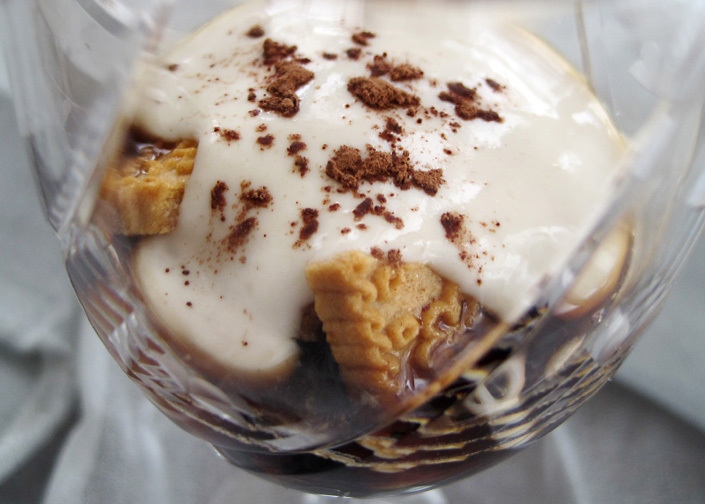 Break a cookie into the bottom of each of 2 parfait glasses or other dessert glasses. 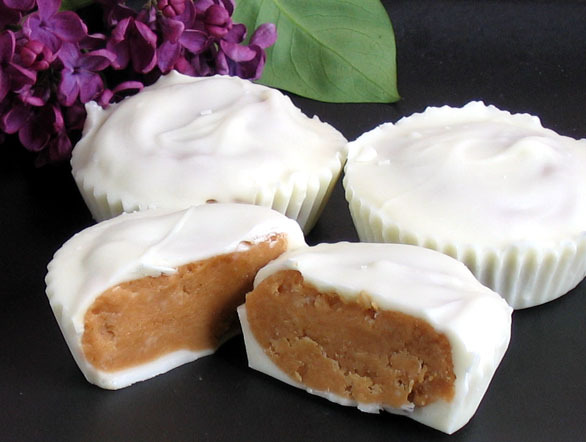 Drizzle each with 1 teaspoon of Kahlua and top with a spoonful of the cream cheese mixture. Repeat with the layering of the remaining cookies, Kahlua, and cream cheese mixture, until the glasses are full, ending with a layer of the cream cheese mixture, dusted with cocoa powder. 4. Serve at once or refrigerate and serve chilled. Soup and cold weather go hand in hand and in the same way I like to have a salad for lunch in the summer, a big bowl of soup is my favorite winter midday meal. I often make a huge pot of soup on Sunday and it's usually enough for lunch for the two of us for several days, when I'll make another kind of soup and on it goes. I have a few favorite soups in rotation, usually alternating between a hearty lentil, black bean, or split pea soup followed by a lighter minestrone-type soup that includes one or two kinds of beans and lots of vegetables. I rarely follow a recipe when I make soup, but prefer to let the contents of my refrigerator and pantry dictate what will go into it. 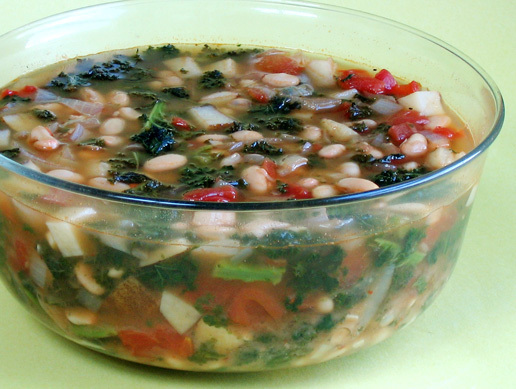 One of our go-to favorites is a spicy kale soup which I make with either white or red kidney beans. The two ingredients that set this soup apart from other kinds of "beans and greens" soup is the inclusion of hot red pepper flakes and a generous splash of sherry. Make this soup on top of the stove or in a slow cooker and change it up using one or more of the variations listed below. For a broth use your choice of homemade or storebought or combine water with vegetable broth paste or bouillon cubes. In a large pot or slow cooker, combine the onion, carrot, potatoes, broth, salt, basil, marjoram, and red pepper flakes (if using). Add the cooked beans and tomatoes. If using a pot on the stove: Bring to a boil, then reduce heat and simmer for 45 minutes. If using a slow cooker: Cover and cook on High for 3 hours or Low for 6 hours. For either method, stir in the kale and cook until tender, about 20 minutes longer. Taste to adjust seasonings. Omit the tomatoes; add up to 1/4 cup dry sherry. Add sauteed sliced vegan sausage links just before serving. Add fresh herbs to taste: fresh parsley and basil are good choices. Use sweet potatoes instead of white potatoes. Use chickpeas or black beans instead of white or red beans. In my self-appointed quest to prove that everything tastes better roasted, I’ve been roasting pans of vegetables in the oven on a regular basis. We all know what roasting does for asparagus, squash, sweet potatoes, and Brussels sprouts, not to mention everyone’s favorite chip, kale. But what about cabbage? I often include chunks of cabbage in a pan of roasted vegetables and have always enjoyed the crispy edges most of all. Last week I roasted 1-inch chunks of savoy cabbage (in a single layer), sprayed with a little olive oil and seasoned with salt and pepper. I roasted it at 400 degrees, turning it a couple times as it roasted to make sure all the surfaces got nicely browned. Each time I removed the pan from the oven, I’d grab a couple pieces of crisping savoy, ostensibly to “test for doneness.” By the time the thicker sections were tender, half of the pan had disappeared. It was that good. 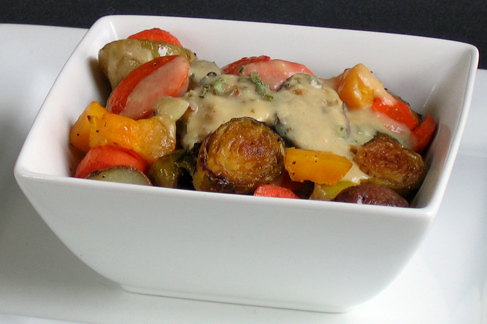 And here is a serving of the roasted vegetables topped with the Lemon-Cannelini Sauce. 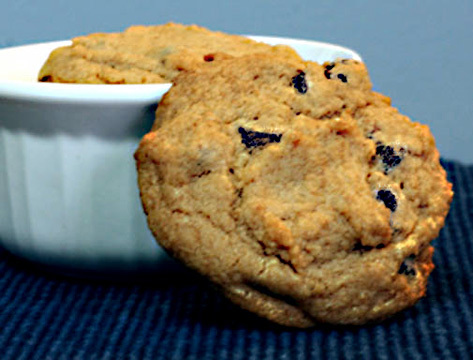 Be sure to check out the recipe on OneGreenPlanet. A final note: The time and temperature at which you roast vegetables can vary with your own preferences. When you roast at a higher temperature, it will require less cooking time, but you’ll need to be vigilant in watching so your vegetables don’t burn. If you roast at a slightly lower temperature, the vegetables will take longer, but you won’t need to watch them as closely. If I'm roasting something delicate like kale leaves, I generally roast them at 350 degrees. For thicker vegetables, such as squash or Brussels sprouts, I usually go with a 400 or 425 degree oven. In any case, you’ll want to turn the vegetables at least once during roasting so that they cook and brown evenly. Yes, you read it right. What can I say? It was bound to happen. My love of pizza, spicy food, and cauliflower converged one night recently. The Manchurian Cauliflower Pizza you see in the photo was the result of their union. At the time, I also had a hankering for cabbage, so I spread a layer of sautéed shredded cabbage and onions on top of the pizza dough before adding the cauliflower. In retrospect, the cabbage was tasty but a bit distracting, so next time (yes, there will be a next time!) I think I’ll instead go with a layer of pureed seasoned chickpeas between the crust and cauli. If you want to try this unusual pizza, just start by making your favorite pizza dough (I like the one in Vegan on the Cheap) or use a storebought pizza dough like the one from Trader Joes. Cut the cauliflower into thin slices (like you’re cutting a loaf of bread) and arrange the slices on a baking sheet that has been oiled or coated with nonstick cooking spray or lined with parchment paper. Roast the cauliflower at 425 degrees F for about 15 minutes, then turn and roast on the other side until just soft, 10 to 15 minutes longer. Keep the oven turned on. While the cauliflower is roasting, make this “shortcut” Manchurian sauce. Combine in bowl: about 1/2 cup ketchup, 1 to 2 tablespoons soy sauce, 1/4 to 1/2 teaspoon garlic powder, 1/4 to 1/2 teaspoon ground coriander, 1/4 teaspoon ground cumin, and 1/4 to 1/2 teaspoon cayenne, depending on how much heat you like. You can also add some minced scallions and cilantro, if you like, and a couple tablespoons of water to thin it out a bit. Set aside. Then, puree 1 can of chickpeas (or 1 1/2 cups of home-cooked chickpeas) in a blender or food processor with a pinch of garlic powder, ground coriander, cumin, and salt and pepper to taste. Add a little lemon juice if desired and a tablespoon or two of water to make it more spreadable. Spread the chickpea mixture onto the pizza dough. 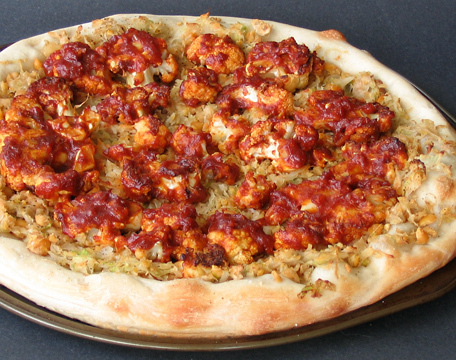 Toss the roasted cauliflower with the Manchurian sauce and arrange the coated cauliflower on top of the pizza. Bake the pizza on the bottom rack of the oven until the crust is nicely browned on the bottom, about 15 minutes or so. If the idea of Manchurian Cauliflower Pizza sounds like crazy-talk, I understand. It certainly isn’t for everyone. But you can still enjoy the spicy cauliflower, either served on its own or over cooked brown rice or quinoa. 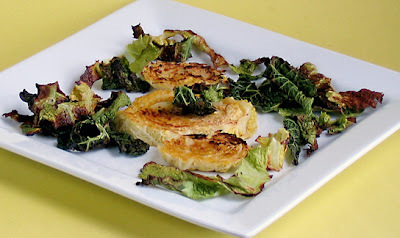 In the meantime, I hope the price of cauliflower comes down soon -- I have lots more ideas I want to try!